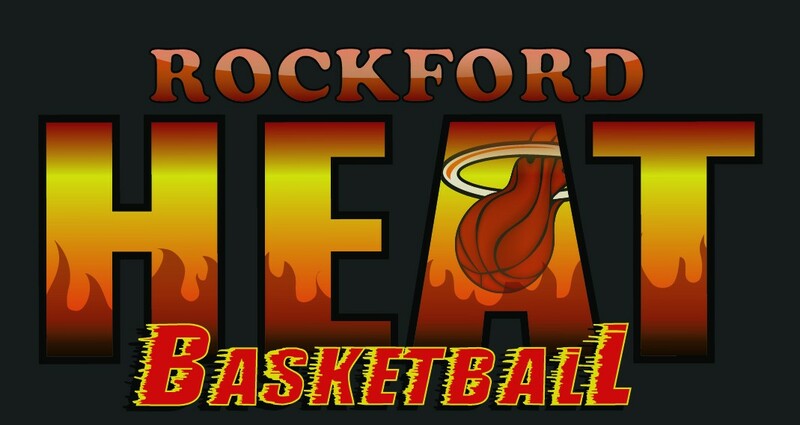 Rockford Heat High School Fall Rosters Posted! Specific Rosters will be posted in the next couple weeks. Teams fielded will be Rockford Heat Varsity Elite(17U), Rockford Heat Varsity Select(17U), and Rockford Heat Fresh/Soph. There are still a few openings between all grade levels, if you are interested in participating in the High School Fall Session contact John Penney ASAP. A mandatory Parent/Player/Coach Meeting will be held Wednesday August 26th at 7:30pm. Location will be Keith Country Day School on 1 Jacoby Place, Rockford IL. At this time you will need to turn in the Athlete Forms(Found on Website), order Rockford Heat apparel, and make payment in full. ****During the Parent/Player/Coach meeting, we will do a recruiting recap on tips, ideas, and experiences on how to deal with the recruiting process. **** I highly recommend everyone interested in playing college basketball attend the meeting. If you are new to the club, you will need to purchase a uniform. Each uniform costs $110 and includes a home jersey, an away jersey, and shorts. If you need/want a team bag, please add $50 to the total uniform cost. 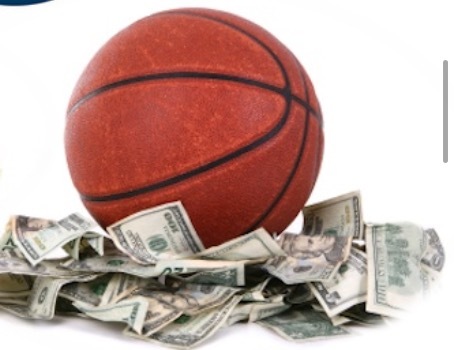 The payment for the uniform and bag is due during the parent/player/coach meeting. 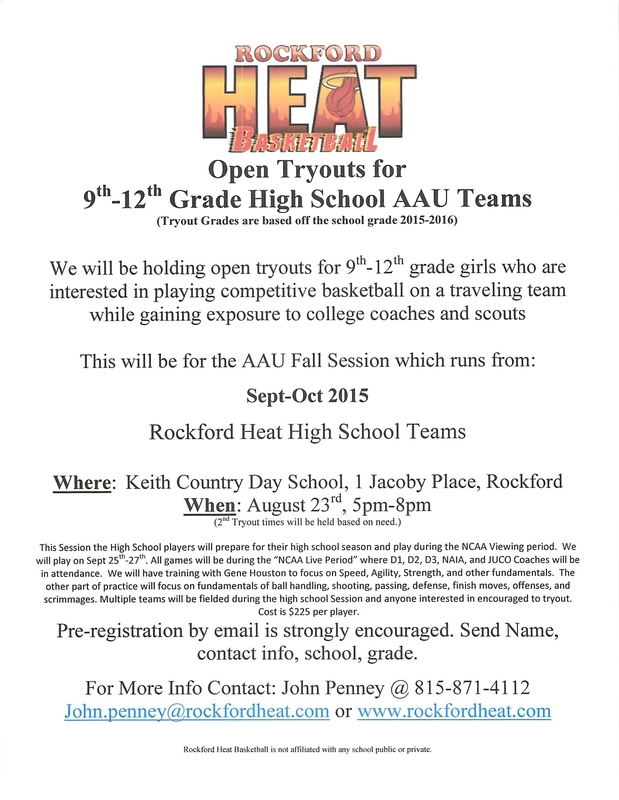 Rockford Heat Girls High School Tryouts This Sunday! Here is the tryout info for the High School fall session, the fall session focuses on preparing your athlete as they get ready to begin their high school basketball season. The session will last about 6 weeks and will also include a NCAA certified event which will take place between the dates of September 25th-27th(Please check your homecoming dates). Practice days will most likely be two of the three following days: Sunday nights, Monday nights, Wednesday nights. If anyone has any questions about this please don’t hesitate to call. We can usually work around fall sports as well. Multiple teams will be fielded depending on how many players come out. Coaches for the High School Teams will be John Penney and Greg Fiorucci, we may add more coaches if needed. Heat Elite Player Abby Woollacott Picks Up 2nd Offer from NIU! 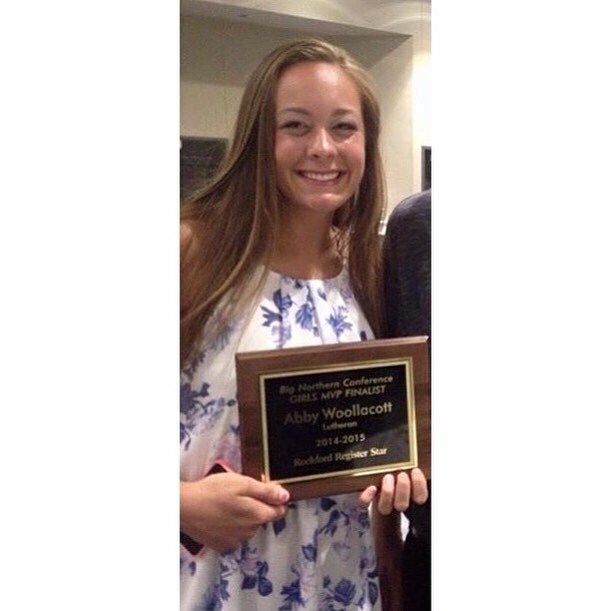 Shout out to Heat Elite Player Abby Woollacott(Rockford Lutheran) for picking up her 2nd Division 1 offer! This 6’4”, Class of 2016, Power Forward/Post has made quite an impact this July during the NCAA Live Period after averaging a double/double for points and rebounds while adding multiple blocks in each game as well. Currently Abby has offers from Chicago State and NIU with more visits set up. Coaches will want to take note and get in contact ASAP! Tryout Dates Announced for 4th-8th Grade Boys and Girls Teams! 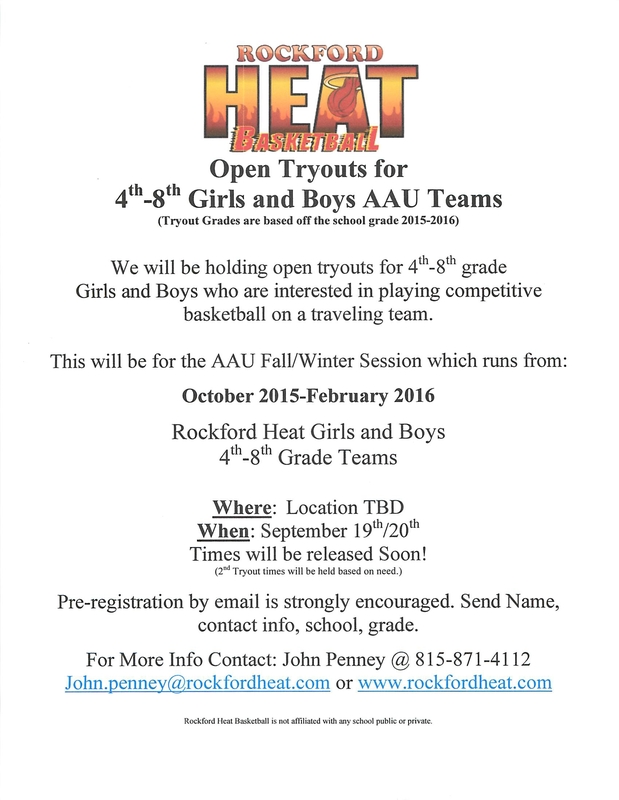 Tryout dates are announced for 4th-8th Grade Girls and Boys Teams for the Fall/Winter Session of 2015-2016! As some of you know, we launched boys teams this summer. We will continue to build off the successes the boys had this summer and roll out the fall/winter session. The girls teams were successful as ever, it is amazing to see the positive growth and I can’t wait to see what the future holds. Tryout Dates Announce for Boys and Girls Teams! Rockford Heat has seen an amazing progression in the program since it began with just one team about 8 short years ago. There are many that have been part of this success from the Class of 2015 and now it is time to wish everyone farewell as these players leave to play basketball in college. These ladies have reached all levels from Div 1, Div 2, Div 3, and National Juco teams. The Class of 2015 was honored to have 14 players and even more humbled and proud to see all 14 decide to sign multiple letters of Intent to receive over 1 million in scholarships to continue in college. The last couple of seasons we have had Varsity teams playing at the top levels in all major NCAA Certified Events and these players have helped make Rockford Heat become a very respected name amongst college coaches from around the country. Good luck Class of 2015, best wishes, and continue to work hard in the classroom and on the court! Here is the tryout info for the High School fall session, the fall session focuses on preparing your athlete as they get ready to begin their high school basketball season. The session will last about 6 weeks and will also include a NCAA certified event which will take place between the dates of September 25th-27th(Please check your homecoming dates). If anyone has any questions about this please don’t hesitate to call. We can usually work around fall sports as well. Multiple teams will be fielded depending on how many players come out. Coaches for the High School Teams will be John Penney and Greg Fiorucci, we may add more coaches if needed.